Claire Cockerton is a serial entrepreneur and an industry leader in financial services. Claire is founder of Entiq. Previously she was co-founder and CEO of Innovate Finance, a City of London and Canary Wharf Group backed group promoting fintech startups. She also set the strategy and co-led the implementation of Level39, Europe’s largest technology accelerator dedicated to fintech, retail and smart cities technologies. 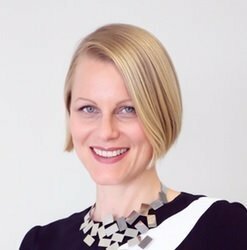 Cockerton is an active member for Women in Tech, Tech London Advocates, Women Shift Digital, and is a member of Boris Johnson's London Tech Ambassador Group.